Albee’s Kitchen. I so wanted this place to be my favourite restaurant in the area. I had really high hopes. I would walk past the Malaysian restaurant weekly, I loved how cute-sy it looked. 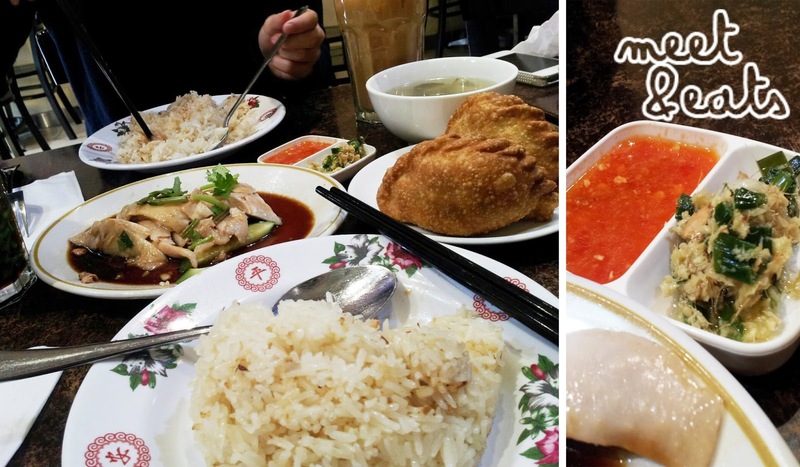 It’s very different from the rest of the restaurants in Cabramatta. I’ve visited Albee’s Kitchen three times. My sister and I finally settled on a date and time to have lunch here. We were one of two in the restaurant at 12PM on a Wednesday arvo. We were hardly greeted with the server hastily laying two menus on a table. I guess that’s where we’re meant to sit. The walls across the restaurant were covered in the menu items. We were focusing on the pictures, they all looked delicious! Including the menus in our hands, there were so many options! I was actually not that hungry, and my sister wasn’t either, so we decided to go with something to share. Malaysia is known for their Hainanese chicken, so, this was a no-brainer to order. 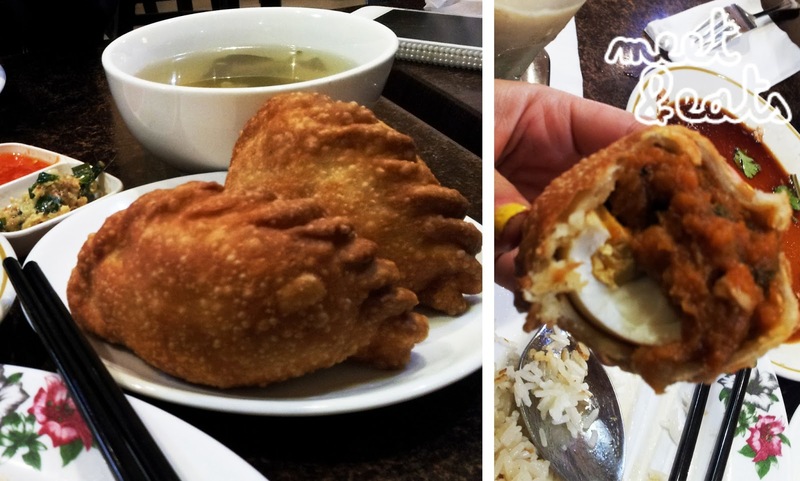 We also grabbed two of their curry puffs, an extra bowl of hainanese chicken rice and two drinks. After 15 minutes, our orders arrived. I loved how it came with these sauces. I only went for the ginger sauce, I love chicken with ginger sauce! It was nicely paired with the flavoursome rice and very tender pieces of sliced chicken. We both thought nothing of the soup, it was very bland. A bowl of chicken rice each! Everything happily sitting on my spoon! This was actually pretty bad. I couldn’t take more than two bites of it, and I like everything! It just had a weird flavour to it, and the egg was a bit too hard. But, I guess the first strike was watching the server take two of the Karipaps out of the fridge for the, clearly sweltering chef to pop into the fryer. My sister and I were pretty satisfied. 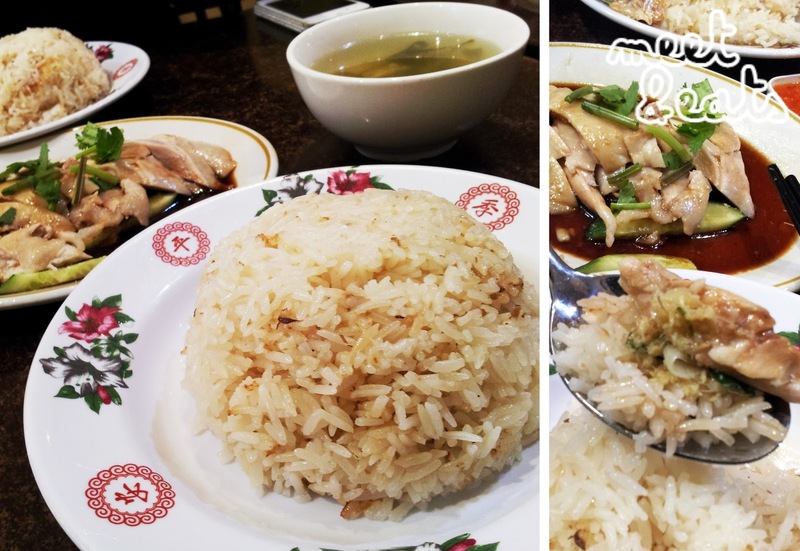 The best Hainanese Chicken Rice I’ve tasted! And I loved the drinks we grabbed with it – I can’t remember too much what I got, but it was some sory of bean che, my sister had milk tea. On my second visit, my friend and I wanted to grab a small bite after our visit to Ikea. It felt like such a long day. Walking in, we were lucky that there was one vacant table. It looked like there was a lot of families here for Friday night dinner. 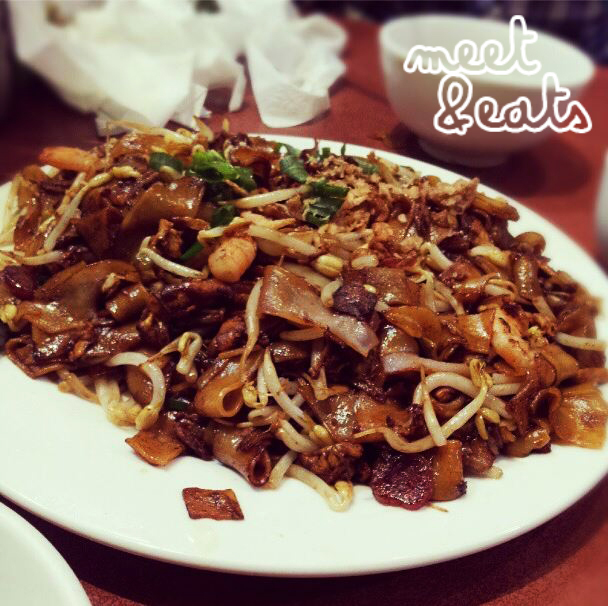 We decided to go with the Char Kuay Teow. Or as the description may suggest – I did not see a clam meat and hardly any chinese sausage in sight. This was my first go at Char Kuay Teow. I do like it a lot better than Pad See Ew. It has a sort of elasticy-oily taste to it, hehe. They gave a generous proportion of this, we finish it, and I did feel disgusting afterwards. And on my third (and final) visit here, I made a visit with my sister again – this memory is very vague, even though it only occurred a few months ago. I think I just tried to block it out of my mind. I came in for lunch on a weekday, it’s the same server I come across each time, and again, the same poor hasty service, no smile or anything. 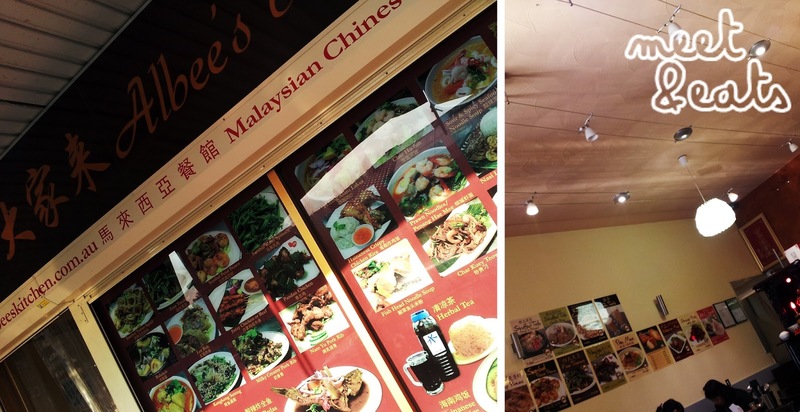 I ordered their Hainanese Chicken, the dish that when I walked out of their restaurant the first time, I thought was the amazing, and would preach the same words to everyone who brought it up. My dish came out in 10 minutes, and, it was cold. The chicken and it’s sauce was as if it’s been waiting out for a long time and the rice was slightly hard. Oh how disappointed I was. It wasn’t even slightly warm. How could this even happen? I grabbed the attention of the same server, and this was the only time I saw her crack a slight smile on her face – ‘Oh, did you want it hot?’. This place has the coldest service you’ll ever receive. I’ve tried to like it. The Cabramatta location for Albee’s Kitchen is plain terrible – I’m glad they have other locations. It just saddens me.